Would you like to develop a highly motivated dream team? Are you eager to forge ahead with exciting plans, but find team members don’t always behave as you might have expected? If you find team morale and engagement often present ruts in the road, then this book is a ‘must-read’! Insights into Liberating Leadership gives you Ali’s powerful, proven 8 Point Plan for leading and managing people in a single, easy-to-follow blueprint. All too often we don’t realise our dreams because we get bogged down in the day to day, the nitty gritty of managing people. 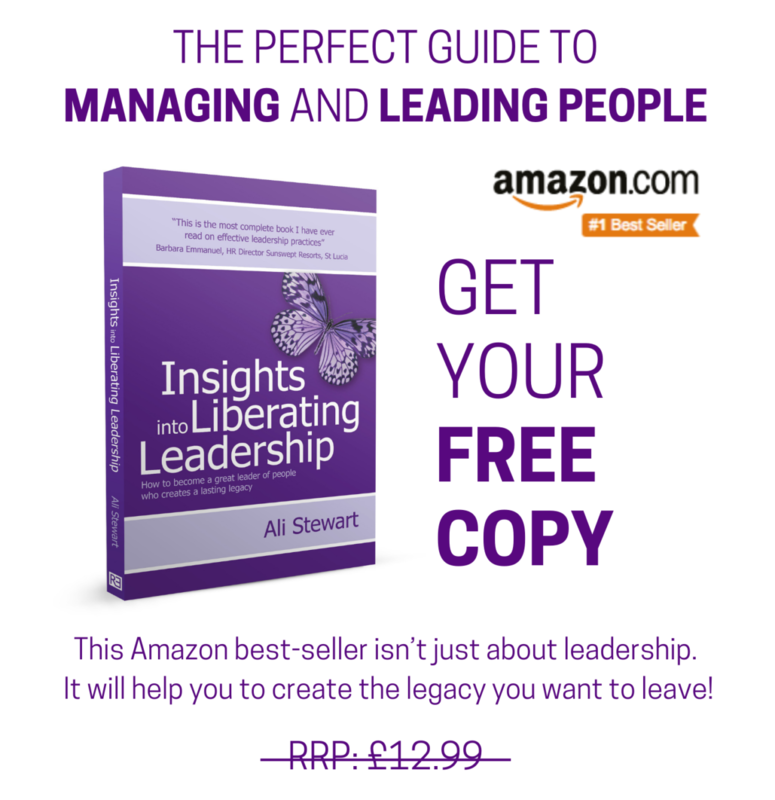 Insights into Liberating Leadership is a practical guide that will empower you to liberate yourself from people problems, giving yourself more time to focus on the tasks that matter; tasks that make a real difference to your business. Anyone looking to combine a leadership framework with greater self-awareness should read this book” Alex Keay, Insights UK General Manager.